As the nation expanded westward, the dispute over slavery intensified. 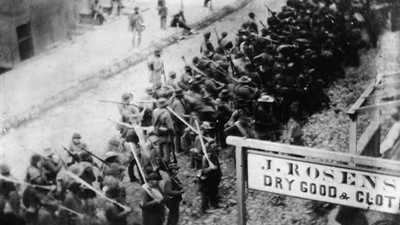 Citizens of Southern slave states clashed with Northern activists who were morally opposed to slavery. Would the new territories extend slavery, or prohibit it? Former president Thomas Jefferson, in his late 70s at the time of the Missouri Compromise, once described the difficult situation slavery presented. "We have the wolf by the ears," he declared, "and we can neither hold him, nor safely let him go. Justice is in one scale, and self-preservation in the other." 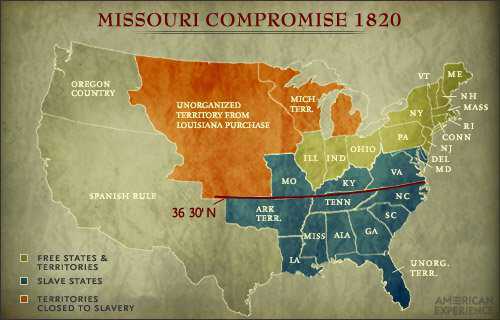 When Missouri sought statehood in 1819, the question of whether it would be admitted to the Union as a slave or free state set off a fierce sectional debate between Northern and Southern legislators. Missouri's ratification would inevitably upset the tenuous balance between slave and free states in the U.S. Senate. To quell the controversy, statesman and orator Henry Clay worked out a compromise of three parts: Maine would separate from Massachusetts and be admitted as a free state; Missouri would enter the Union as a slave state; and the remaining territory of the Louisiana Purchase, which lay north of the 36-30 parallel, would be closed off to slavery. The extension of slavery was again an issue when California, heavily populated by settlers during the Gold Rush of 1849, applied for entrance to the Union as a free state. Pro- and anti-slavery factions also squabbled over the land recently acquired from the Mexican Cession, which included what is now Arizona, New Mexico, Utah, Nevada, and parts of Colorado and Wyoming. Supported by Senators Stephen A. Douglas of Illinois and Daniel Webster of Massachusetts, Henry Clay again suggested a compromise. California would enter the Union as a free state while the remainder of the land acquired from Mexico, divided into the territories of New Mexico and Utah, would determine slavery status by "popular sovereignty," allowing the inhabitants to decide for themselves. In addition, the compromise outlawed the slave trade (not slavery) in the District of Columbia while it enacted a stricter fugitive slave law to facilitate the retrieval of slaves who had run away to the North. The compromise, while not wholly satisfactory to either the North or the South, temporarily preserved the Union. Eager to see Western territories settled, Stephen A. Douglas, Senator from Illinois and Chairman of the Senate Committee on Territories, pushed the Kansas-Nebraska Act through Congress in 1854. 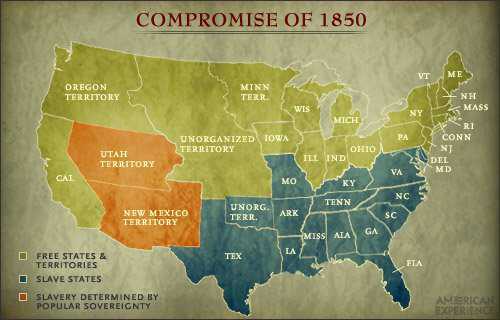 Because most of the Western territories lay north of the dividing line legislated by the Missouri Compromise, they were already off limits to slavery. Southern representatives acted to preserve their predominance in the Senate by stalemating applications that would grant the territories statehood. 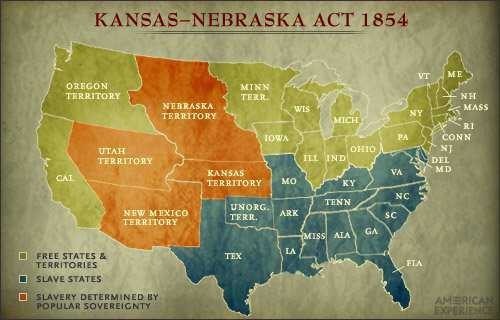 Circumventing this problem, the Kansas-Nebraska Act essentially overrode the Missouri Compromise and allowed slavery to spread into the territory only by "popular sovereignty." The result was a frenzied scramble of pro- and anti-slavery settlers into the area, and violent confrontations between the two groups. Angelene Forester remembers Walter Freeman's first patient — her mother Ellen Ionesco.